Offering you a complete choice of products which include 1.00 sq. mm single core pvc insulated cables, fire survival cable, 2.50 sq. mm single core pvc insulated cables, 0.75 sq. mm single core pvc insulated cables, 1.50 sq. mm single core pvc insulated cables and 4.00 sq. mm single core pvc insulated cables. 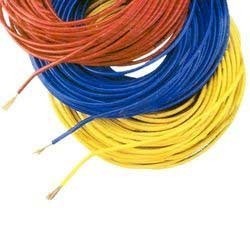 We are offering an extensive range of Multicore PVC Insulated Cables to our esteemed clients. These cables are widely used and demanded in the market. Various forms of these products are available with us to complete every possible requirements of the clients. We use high quality wires which are tested by our experienced team workers to provide products without any defect at market leading prices and within the specified time frame. Our company has earned great laurels with Fire Survival Cables in the market. It is a cable capped at either end with connectors that allow it to be rapidly and conveniently connected to CATV, an optical switch or other telecommunication equipment. Its thick layer of protection is used to connect the optical transmitter, receiver, and the terminal box. This is known as interconnect-style cabling. These are made available to the customers at industry leading rates and are provided as per the set industry norms and protocols as well. 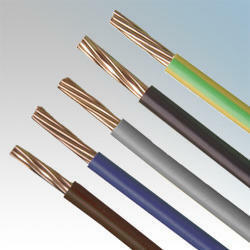 We are one of the prevailing providers of Multicore PVC Insulated Cables in the market. These cables are used for various purpose like transmitting electrical or optical signal, electric power and television transmission. We have these products in various colors and strength to satisfy maximum requirements of the clients. Our clients can find these products at budget friendly prices in the market to operationalize their business smoothly. 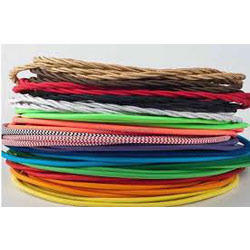 Known as one of the dominating providers of Single Core PVC Insulated Cables in the industry, we always strives hard to fulfil maximum requirements of the clients. These products are available in various assortment to make them customized as per the client's needs and specifications. We have various quality controllers to inspect the whole production process so that we can deliver cables with zero defect. As a leading provider of Multicore PVC Insulated Cables, we have managed to achieve a huge customer base. In addition to support this we have broad distribution network across the nation. 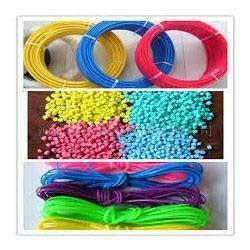 We use optimum quality of raw material and wires to deliver quality products without any defect at economical rates to our prestigious clients. Moreover, Our skilled engineers keep the products updated with every new technology.